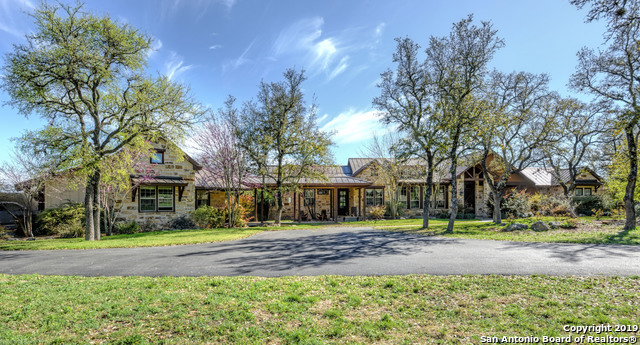 All CORDILLERA RANCH homes currently listed for sale in Boerne as of 04/20/2019 are shown below. You can change the search criteria at any time by pressing the 'Change Search' button below. 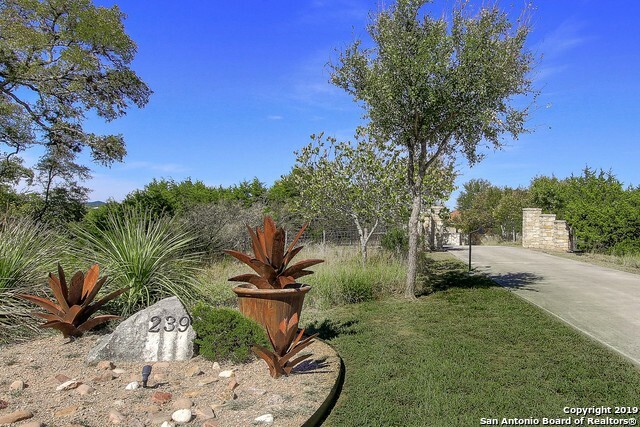 "Stunning one story on 9.62 ac in Cordillera! 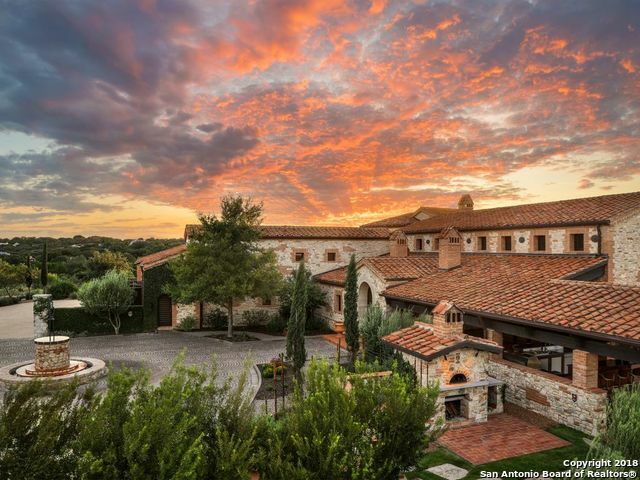 Renovated in 2011 with exquisite details including the finest custom cabinetry, leather finished granite, stone walls, hand-scraped wood floors, Travertine bathrooms & so much more! 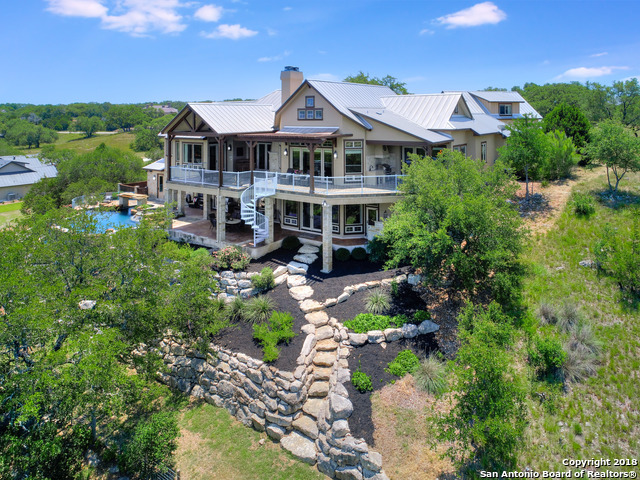 Main home features a showpiece gourmet kitchen, 3 bedrooms, 3.5 baths & hill country views from nearly every vantage point. Exercise studio overlooks the pool, spa & summer kitchen. Two outdoor fireplaces & multiple patios. Detached 2 bdrm/2 bath casita, 4 car garage w/ups"
"Beautiful contemporary one story home in the Clubs Village of Cordillera Ranch. This custom home is the perfect entertaining home w/all the bells & whistles plus a 600 sq. ft guest house that includes a full size bedroom, living room, kitchen & utility room. The main home features a spacious great room open to the kitchen w/eat in island & double ovens. 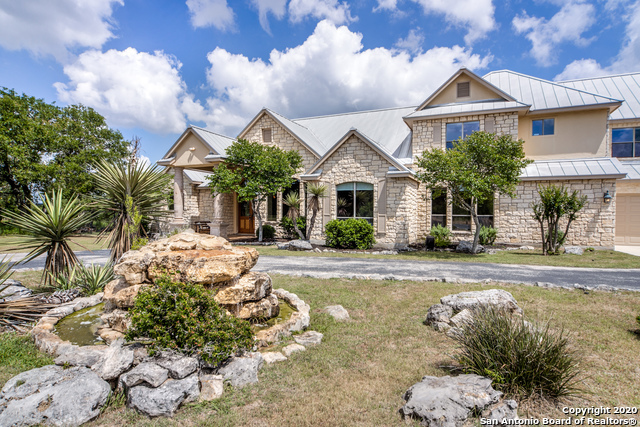 Take in all the features from a 900 bottle wine room, an impressive 250 bottle custom bar room, & an expansive outdoor living area w/pool & hot "
"Gorgeous Hill Country views!! 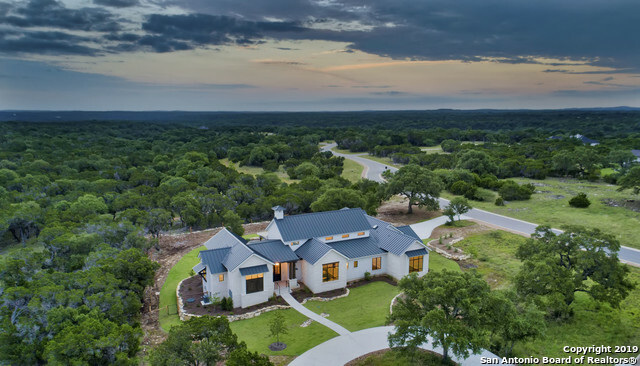 Buyers will love the long range views from this beautifully re-designed contemporary estate on over 4 acres in Cordillera. Sophisticated updates thru-out to flooring, paint, kitchen & more. Expansive dining room w/built in wine storage & open concept family & kitchen make this a great space to entertain. Luxurious master suite & 2nd bdrm down, 3 bdrms, game & media room up. 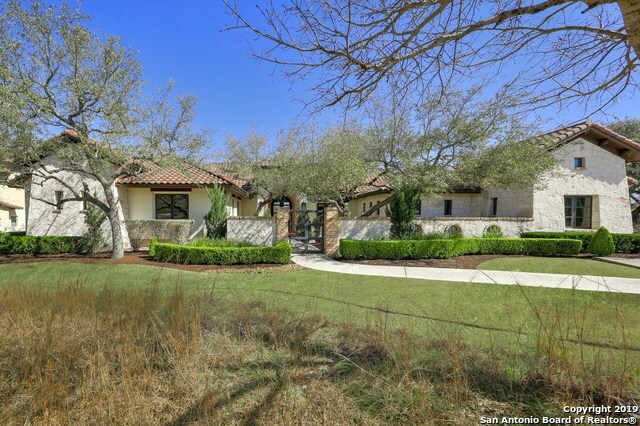 1 bdrm/1 bath casita for guests, sparkling pool, covered patio & sports court add to outdoor "
"Beautiful Hill Country custom home built by Authentic Custom Homes in 2010. Privacy abounds on this 4.9 acre privately gated and fenced property. Great hardwoods and plenty of room for horses should you desire. Detached garage with additional space for workshop. The home has all the high end finishes one would expect; Viking appliances, custom Alder doors, double ovens and dishwashers, gas range, outdoor kitchen with fireplace and gorgeous water feature." 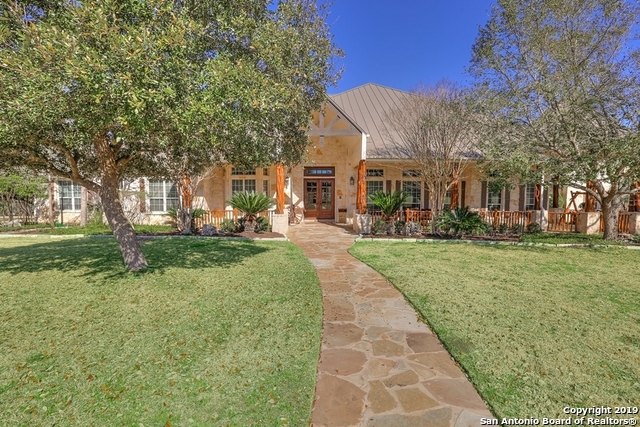 "Stunning 1 story Stadler Custom Home nestled amongst mature oaks. Backs up to the prestigious Jack Nicklaus Signature Golf Course on the 5th fairway. Entertain family & friends in style with an open floor plan filled with natural light. 3 Oversized Master Suites with walkin closets ensure everyone has all the space they need. 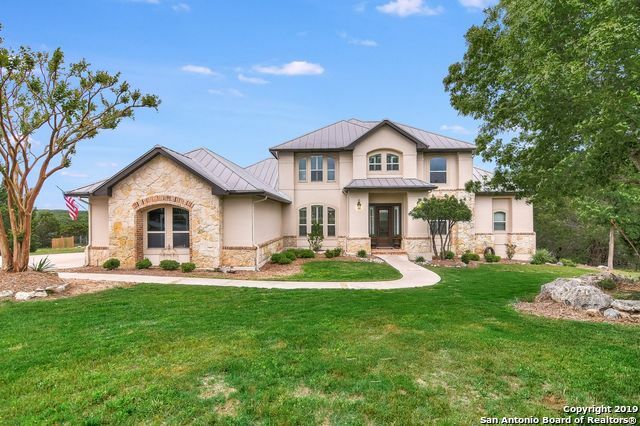 Gorgeous Travertine & hand scraped Hickory wood floors & custom ceilings are just the beginning of the unique craftsmanship throughout this one of a kind home. 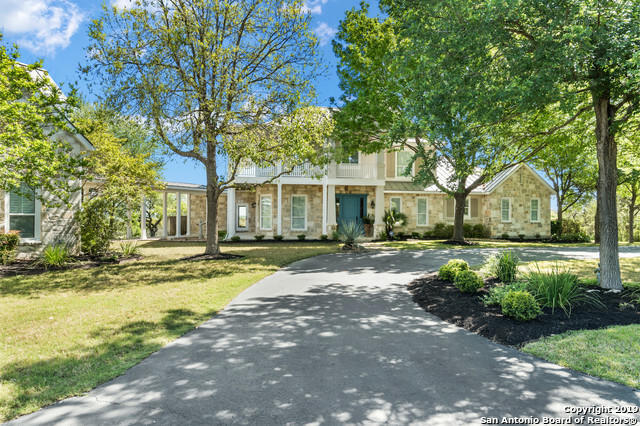 MSTR FULL GO"
"Gorgeous 2018 Atkinson Custom Home nestled amongst some of the most beautiful mature oaks in all of Cordillera Ranch. This single story 4BR, 3.5 Bth home sits on 3.12 acres. Open floor plan, clean lines, lots of windows, natural light & quality construction make this a perfect setting for family, entertaining or just sitting by the fire. 12ft ceilings with exposed timbers. Oversized secondary bedrooms. Home is on central water, central sewer along with gas. Less than a 30 sec to the gated entran"
"Modern Farmhouse w/stylish details, spacious floorplan. Emphasizes family & entertaining. Luxurious Master w/generous bedroom & spa-like bath w/his & her vanities & freestanding tub. Great Room featuring fireplace focal wall, wood beams & window wall - transforms into multiple dining experiences. Gourmet Kitchen oversees entertaining & features premium appliances, custom cabinetry & modern finishes. Other areas: 4 bedrooms, each w/bath & walk-in closet; Flex Room w/barn doors; large Pantry & Uti"
"Amazing 20 mile views!! 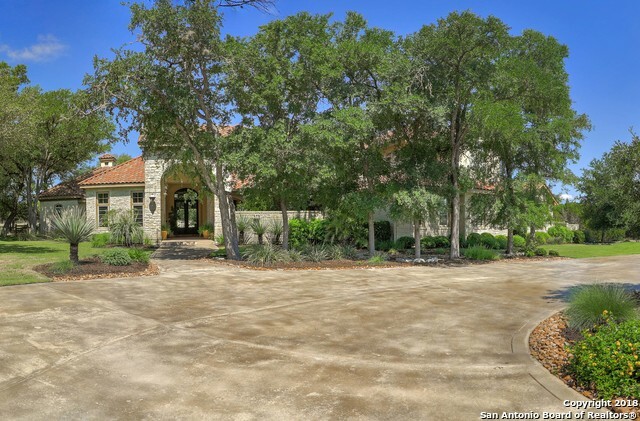 Wonderful blend of traditional & hill country on 5 ac in Cordillera Ranch. Abundant windows & attention to detail evident thru out. Two story w/formal living & dining, kitchen & family room w/view. Luxurious master suite w/adjoining office or exercise rm & double bathrooms downstairs. Three bedrooms, 2 baths & game room up. Office w/full bath over detached garage & connected by covered walkway. 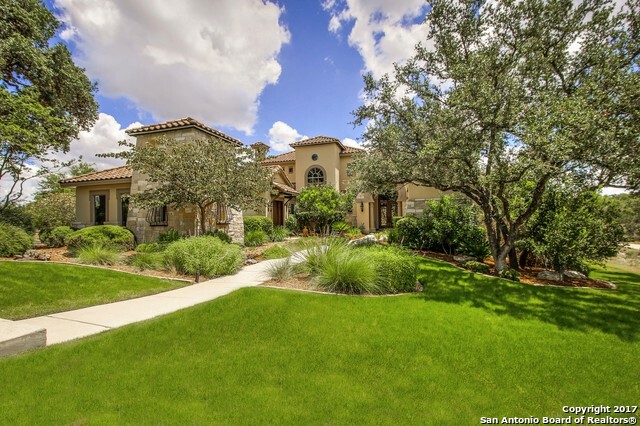 Beautifully landscaped property w/pool, covered patios & country views. Priva"
"Welcome to this privately gated estate located within the Prestigious Cordillera Ranch community on 4.8 acres.Soaring ceilings w/ a panoramic view of the pool & cabana welcome you.Enjoy your morning coffee by the fire place in the chef's kitchen overlooking the outdoor paradise also complete w/ a kitchen,bathroom,&fireplace.The master retreat offers a fireplace & spa-like bathroom.3 additional bedrooms,w/ 1 having its own entrance. 1 office(could be a bedroom)& flex room.Oversized workshop compl"
"Beautiful 1.5 story hill country home with views! Spacious & open floor plan is a delight to entertain in...family room w/stone fireplace, gourmet kitchen w/breakfast bar & pass thru bar w/2 beverage coolers. Dedicated office w/built in desk & double doors. Master suite w/double sided shower & 2 closets. Upstairs media rm w/wet bar & balcony + bdrm, full bath & sitting area. Wonderful covered patio w/retractable solar screens & sparkling in ground pool for outdoor enjoyment. 3 car garage w/epoxy"
"Completely remodeled farmhouse style ranch home that sits high on a hill with a million dollar view. Enjoy the hill country sunsets while you relax in your pool and entertain your guests on the expansive 2000 Sq ft patio with fire pit. The 8.8 acre comes with plenty of room for exploring the outdoors. This is a fabulous family home with all the charm to go with it." "Beautiful 1.5 story w/pool in Clubs Village of Cordillera! Inviting stone wall courtyard at entry & amazing view from upstairs game room balcony. Master & two guest rooms downstairs, gourmet kitchen w/island seating opens to the family room w/stone fireplace. Private master retreat, separate study w/french doors & wood flooring. Covered outdoor living, beach entry pool, spa & waterfall. 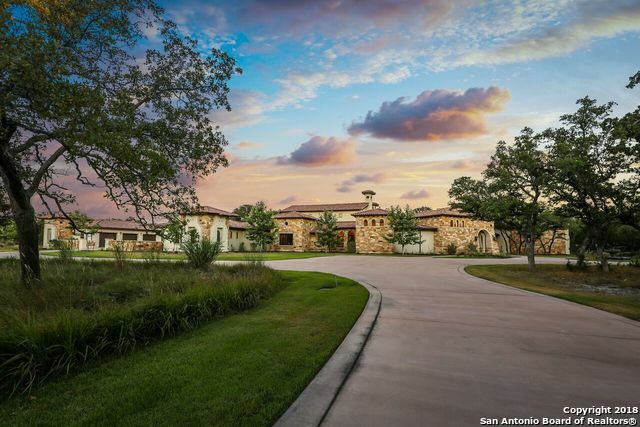 Spectacular hill country & golf course views!" "Rarely available, highly desired! Travertine floors, wood beams, high ceilings, neutral color palette, granite counters, custom cabinetry. Open floor plan includes living, breakfast and kitchen. 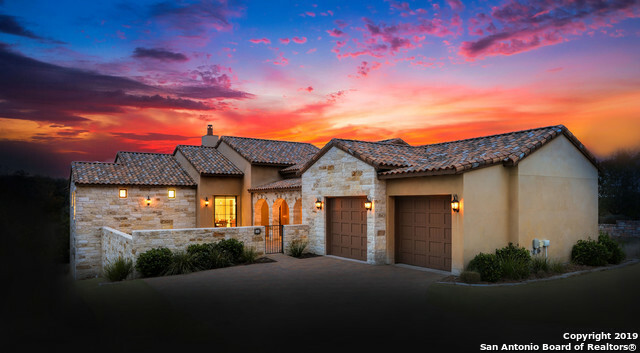 Spacious front courtyard, covered patios and Hill Country views from outdoor living to big Texas sunrises and sunsets. Luxurious Master Suite includes private covered patio. 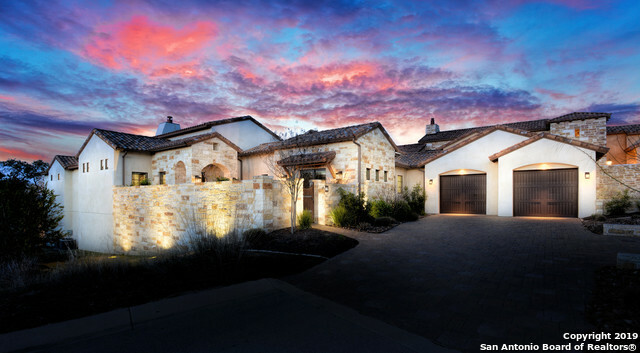 Convenient to Clubs of Cordillera Ranch via Di Lusso private cart path. Adjacent Lodges at CR will provide additional accommodation"
"Unique custom built home with extensive wood detailing thru out. 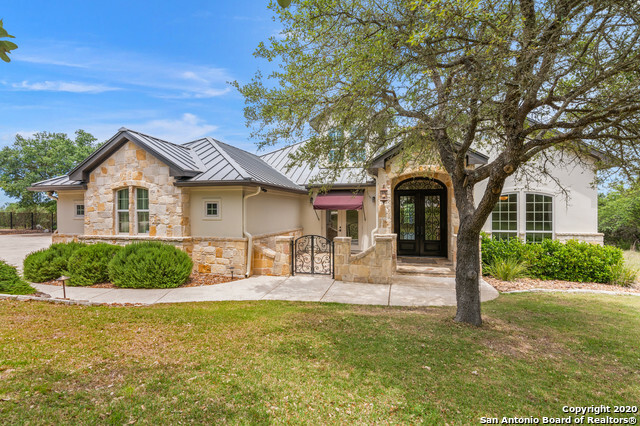 Designed to maximize the hill country views, this home boasts a commercial grade kitchen, 2 living areas, attached guest apartment w/elevator access & a beautiful backyard w/pool, gazebo, & pond. 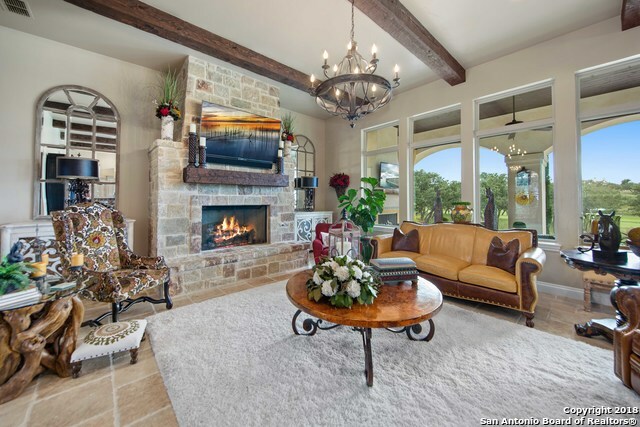 Stunning carved Cantera stone fireplace in living room, spacious master suite, large 13x25 craft room downstairs + additional rec space & 2 bedrooms up. RV barn w/workshop & private gated entry in cul de sac, amenity rich Cordillera Ranch!"